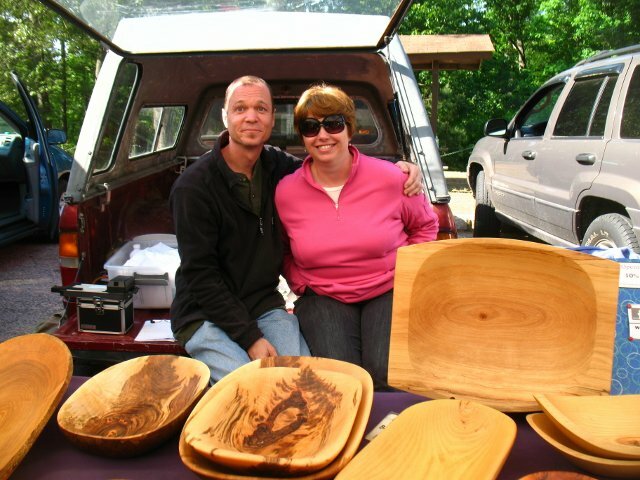 Tom Lowe is The Wildwood Carver, and with the help of his wife, Roberta Lowe, they sell beautiful, hand-made bowls and utensils. 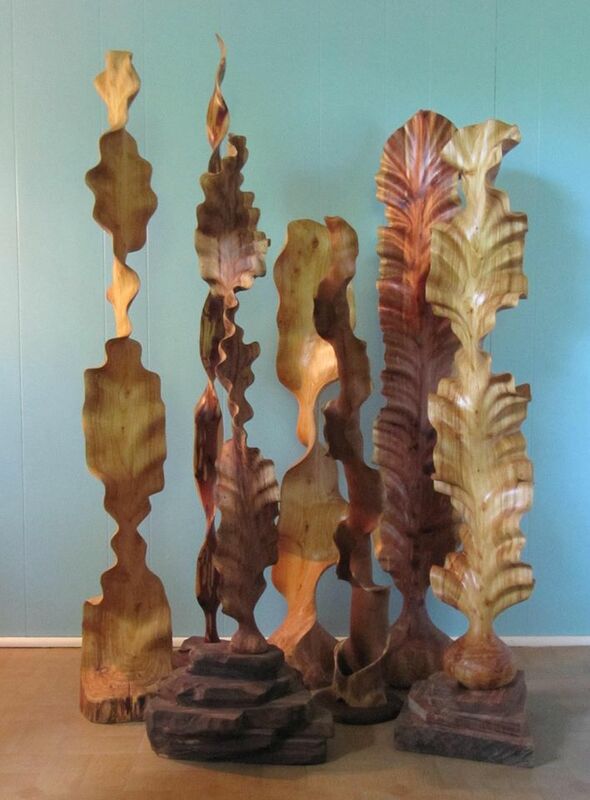 They also sell imaginative, Seussian* sculptures that are truly one of a kind. Tom has been a woodcarver for 30 years, and his attention to detail is unmistakable. He coats each piece with mineral oil-beeswax paste for protection and durability. Tom can even make custom shapes in about two weeks! Like, Share, or Comment on this Post; or Tweet about it, and you are automatically entered to win a gorgeous salt cellar from The Wildwood Carver! Don’t forget to tag GrowRVA! The Wildwood Carver – Carved Wood Bowls, spoons and sculptures. Salad bowls are the most popular as they make wonderful wedding gifts. This is our seventh year making bowls but Tom has been woodcarving for 30 years. 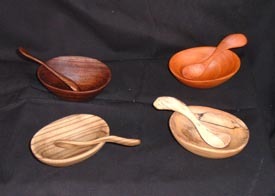 He has used over 70 gallons of mineral oil for treating the bowls and spoons. Handmades by Linda, Pure Light Candles and my wife loves Grammy’s O’s, those buns are addicting to her. 5. Describe your typical market Saturday. Get up, set up, sell things, go home, eat and nap. Seriously, Tom is out in his shop all week by himself so chatting with friends and customers is very nice. Previous Previous post: Meet Your Artisan #3: Blanchard’s Coffee Co.